I present the quote above simply to say that this children’s book is based on facts, not fiction. Yet it is written through the eyes of Hannah, who travels to Kenya to see for herself what it looks like when there is no water, toilets, or even food. Her experiences transform her, and hopefully transform the readers as well. It is a first-person honest account of living and working in rural Kenya, trying to make a small difference in the lives of the people. 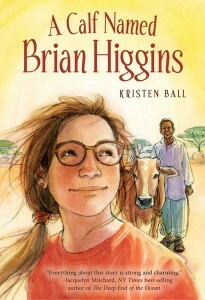 Throughout the book, Hannah keeps making comparisons to her privileged life in the USA and the reality of life in rural Kenya. Not only does she see how ludicrous it is to worry about certain things, like losing hairbands, but also she recognizes the happiness and generosity of people is not determined by wealth. There is no replacement for experiencing this life-transforming insight for oneself, by traveling to a less affluent environment. However, perhaps the role of this children’s book is to inspire children to want to learn more, and potentially to actually do something to help others. At a minimum, perhaps it encourages readers to be less self-centered. Having been in Kenya for a short time, I felt the author did a good job of presenting the realities without overdramatizing the differences. I hope that readers follow up on some of the links in the back of the book that encourage children to connect with others in Kenya and elsewhere.